Powerful, fuel-efficient, and durable - add reduced emission engine, anti-vibration system and multi-function control handle and you have the Stihl BR 600 Magnum all-in-one professional grade backpack blower. Perfect for all urban and rural landscaping tasks, the BR 600 Magnum has a padded polymer frame with dual position adjustable straps and a foot pad for smooth starts. When it comes to heavy-duty cleanup, the Stihl 600 Magnum is the ideal choice. 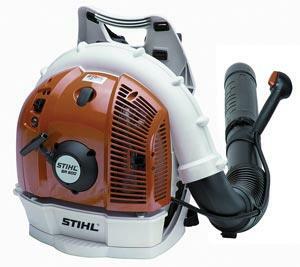 * Please call us with any questions about our backpack blower stihl br 600 rentals in Lake Charles and Moss Bluff LA.